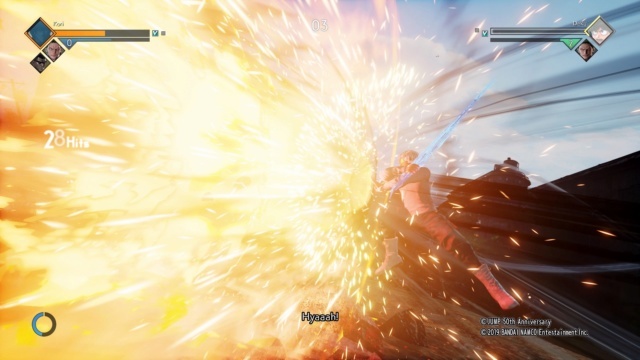 Tutorial Missions: Tutorial mode is an extension of the mandatory tutorial and teaches the player more of the basics of combat in the game. 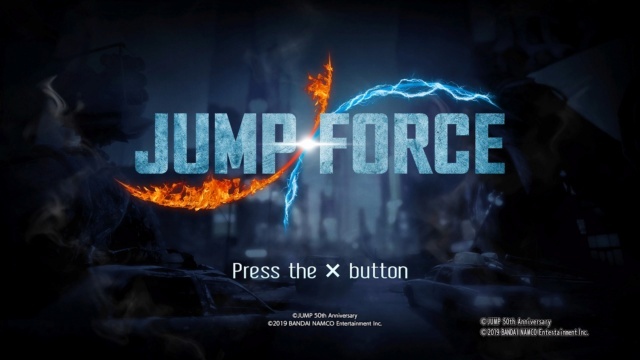 Story: Jump Force’s story starts off slow which makes it seem lackluster and impersonal at first. It starts with way too many story missions, the majority of which feel more like side missions. After completing the first few chapters, the story does start to improve and increase interest. There aren’t as many missions that don’t feel related to the story, and it picks up its pace which makes it more engaging than before. Finishing the story feels like completing an anime, it is very satisfying, but it feels like there should be more. One thing to note is that it occasionally a character might seem out of character in story mode which can make that part of the story feel off. Another important thing to note is that to play and progress in the story; the player must either go to the mission counters and chose Key Missions or talk to the correct character to progress. It can get a little confusing trying to figure out where to go at times but remembering the minimap is key. Free Missions: This mode is definitely a good one to grind. In this mode, the player can obtain experience, money, upgrade materials, cosmetic items, abilities, and J-Skills. These missions are not that hard to complete and range in difficulty from Easy to Expert. To get the most out of this mode, the player would want to get S-rank on each mission which does take some time. Extra Missions: In this mode, the player completes missions which increase their level cap and obtain elements to apply to some abilities allowing the player to fine-tune their play style even more. Online: In online mode, the player can fight other players online. There is the option to play quick matches, ranked matches, or friend matches. These modes are well implemented, but it would have been nice to have a rematch option in the friend matches, so friends don’t have to go through a ridiculous number of loading screens each time they do a match. Offline: In offline mode, the player can choose to fight a couch-side friend, a CPU, have two CPUs fight each-other, or train. This mode probably doesn’t get as much credit as it deserves, but it certainly isn’t as prominent as the other modes. In the game, there are multiple options for customization which are mostly broken down into avatar creation, customization items, and abilities. Avatar Creation: In avatar creation, the player can create their avatar. They chose which type of fighting style (Martial Arts, Pirate, or Ninja) and customize their avatar’s appearance. The avatar creation is very good and allows players to create incredibly unique avatars or recreate a character from the animes in the game. Some of the options such as hair and the two features can be changed in-game, but everything else is not, so create wisely. Customization Items: Customization Items are the clothing and accessories the avatars wear. They can be obtained via the in-game shop or through Free Missions. The options for this seem a little limited currently in terms of styles and colors, but the developers are releasing more options in future patches. Abilities: Abilities are the moves the player’s avatar uses from the pool of in-game playable characters’ moves. Choosing moves allows for some whacky combinations or utter destruction. Abilities can be swapped out at any time, and the player can obtain new moves either through the in-game store or playing Free Missions. Some abilities are also eligible for element changes which were mentioned a little earlier. Abilities are a very important part of avatar customization as it decides the players play style. Controls: The controls are very different from other Bandai fighting games, but are very easy to get used to and help create a very smooth fighting experience. 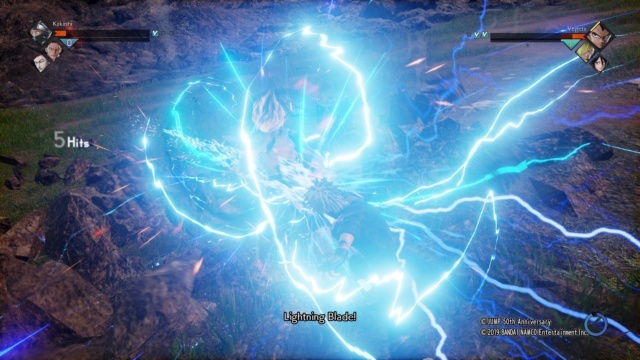 Visuals: The visuals in Jump Force are one of the things that had the biggest interest factor for the game. Luckily the visuals live up to what was seen in the trailers and continue to be amazing with few flaws. The main flaw left by having such great graphics is that the faces of some of the anime characters wind up looking like their face was pasted onto their model, but luckily that flaw does not apply to most of the characters. Apart from that, the graphics for the game are amazing compared to other Bandai fighting games. The special effects, maps, and avatar details are awesome. Audio: Chunsoft chose to go with an epic style for their music which sounds good and helps round out the theme of the game, and the sound effects are good. The voice acting is very good, but it only comes in Japanese audio with English subtitles which could cause an issue for some players. 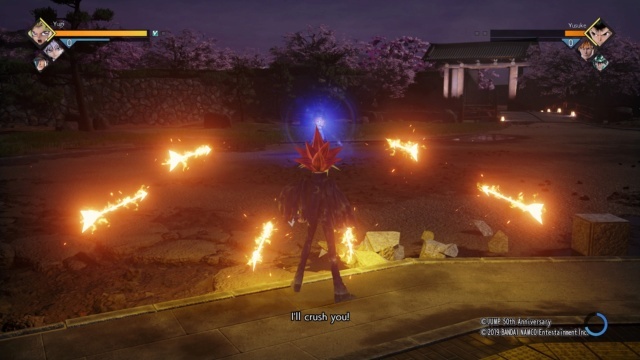 Completion: Full completion of Jump Force will likely take at least 70 hours likely more to do all the missions and experience multiplayer. It is also the kind of game where the multiplayer is something to come back to for an extended length of time. DLC: There are confirmed DLC characters as of right now and a Character Pass which grants players nine DLC characters and access to those characters four days before they are available for purchase. There are only nine DLC character spots confirmed at this point, but there is the possibility that they could increase the number later on. Conclusion: Jump Force will satisfy a player’s anime fighting needs at least until their next game comes out if not beyond that. It has a few rough spots but all in all, it is a solid game. This review is now live! Also @SalsumHawkeye Your review is incredible! @SalsumHawkeye Are you a new reviewer? You're simply amazing mate, what an excellent read! @Marioman18 wrote: @SalsumHawkeye Are you a new reviewer? You're simply amazing mate, what an excellent read! Thank you @Marioman18! Yeah I’m still pretty new this is my fourth review so far. Great review! Is this as good as J-Stars Victory Vs+? Great review! Anything Shounen Jump is right up my alley! What an absolutely wonderful review. @SalsumHawkeye Who're your mains in the game? I usually play my custom character, Midoriya, Zoro, or Vegeta. Those are my go tos when I’m getting serious @Towafan7. @SalsumHawkeye Oops I read your username as SalsaHawkeye. My apologies.